Look closely all around your society or the place where you live in and what will you find? Amazingly dressed children upon whom their parents take pride. 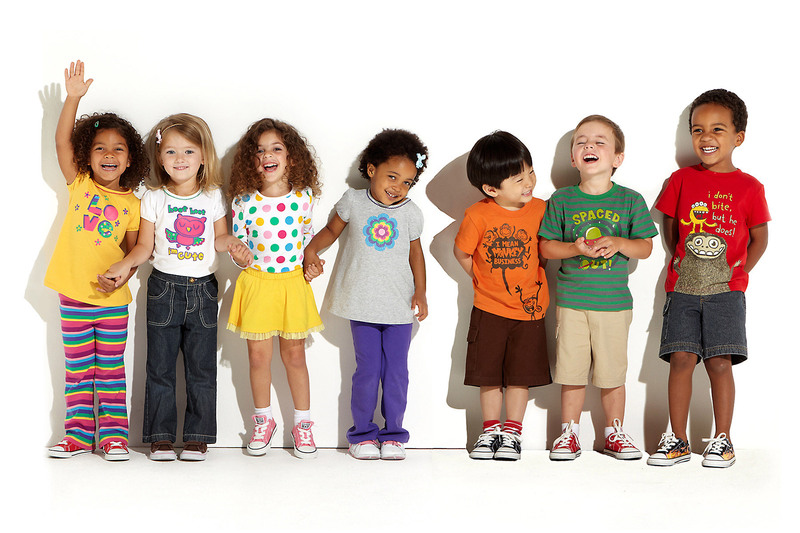 Children’s fashion is something that has become a very popular thing only recently. There used to be a time in the past when children’s fashion was not paid much importance. But nowadays due to social media and friendly celebrities who share the picture of their beautiful children online the scene has become different. Celebs like David Beckham, Kim Kardashian are all over their young ones and are very proud of them. They dress them in all the possible brands and they come out looking like a dream, thus it is only normal for every mother out there to want the same for her kid, and why should they not want so when th eir kids are as beautiful, thus the introduction of this one thing called Children’s fashion. While there used to be a time when children used to be in just nappies and a t-shirt nowadays they wear everything. From jeans to shorts to skirts to dresses to tunics to gowns everything, yes, everything out there is being made in kid sizes, these clothes are not only cute to look at but also so amazingly pretty that for a moment you will sit and wonder why are all grown up now. Children are being dressed in these beautiful clothes and they are not only made to walk the streets but also the ramp. Yes, children’s fashion has facilitated children’s fashion shows which at one point used to be only for adults. A lot of rules are bending as we can see. Children’s fashion has also given way to the bloom of a lot of industries and online sites which only specialise in children’s clothing. It is obvious that people will choose to go to shops with only clothes of kids over a shop which only has a section for kids clothing, and thus this industry has been in full bloom over the last few years and is making its mark all around the world. Some of these shops have become household brand names for many and are as popular as any other branded fashion shop out there. At the end of the day it is very important to remember that your child is still a small child, so do not forget to make him/her look cute instead of bold. With such an array of clothes and shops to choose them from it is mighty easy to forget that. Remember that the happiness of your child will always come first. Previous articleA Healthy Balance Between Work and Home. Next articleWhy Are We Unable To Quit Facebook?